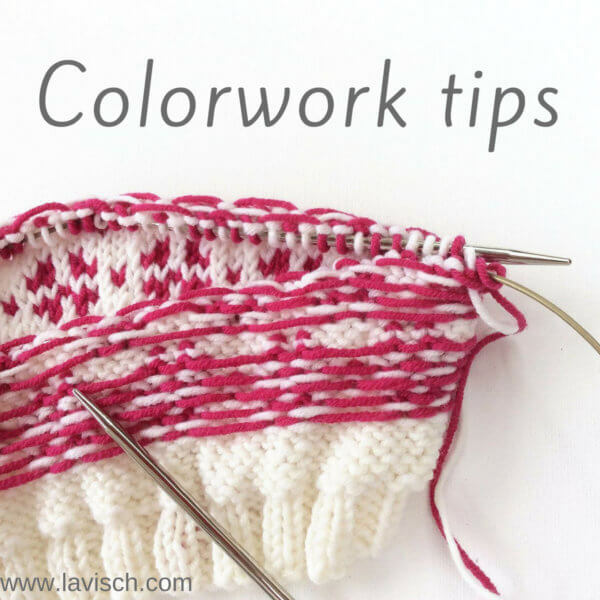 Duplicate stitch is a very versatile way of adding a colored decoration to an otherwise plain piece of knitting. For example, as I did with the Sweet as Pi cardigan pictured above. This is done by embroidering a contrast color over the V’s of the knit side of stockinette stitch knitted fabric. In a way, duplicating the stitches that are already there. You can apply a design freehand, or use a charted design. When using a chart, every box represents a stitch. 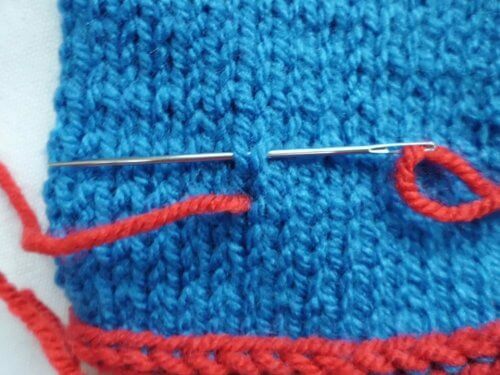 To start, thread the yarn through your darning needle and determine where to start the duplicate stitching for optimal placement of the design. 1. 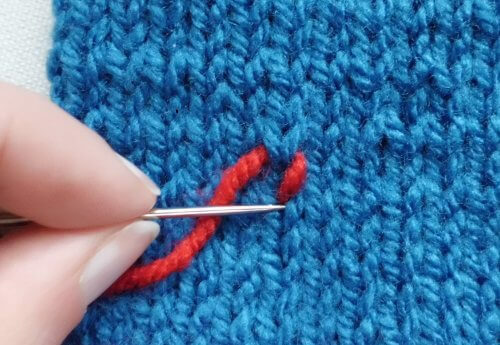 Pull the needle through the bottom of the first stitch, from the back of the fabric to the front. Make sure you leave a yarn tail long enough to weave in the ends later on. 2. 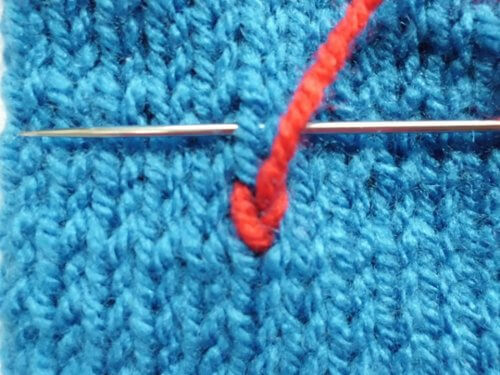 Insert the needle from the right to left through both loops of the stitch above. 3. Insert the needle down through the bottom of the stitch again, this time from the front of the fabric to the back. 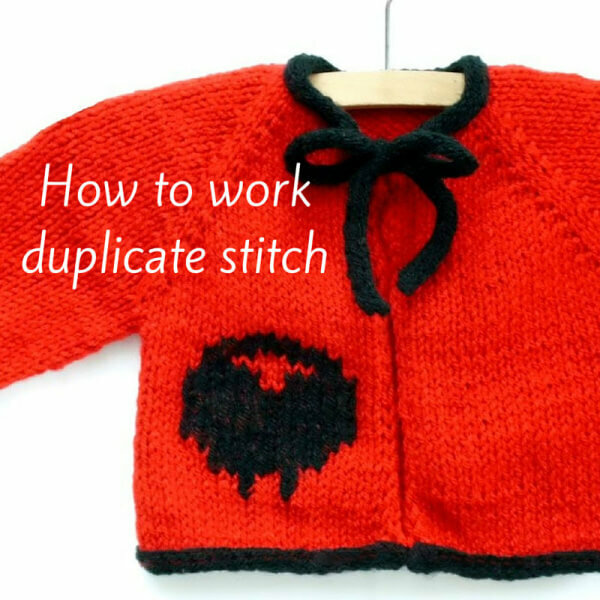 This step completes your first duplicate stitch. 4. Repeat steps 1 – 3 as required. 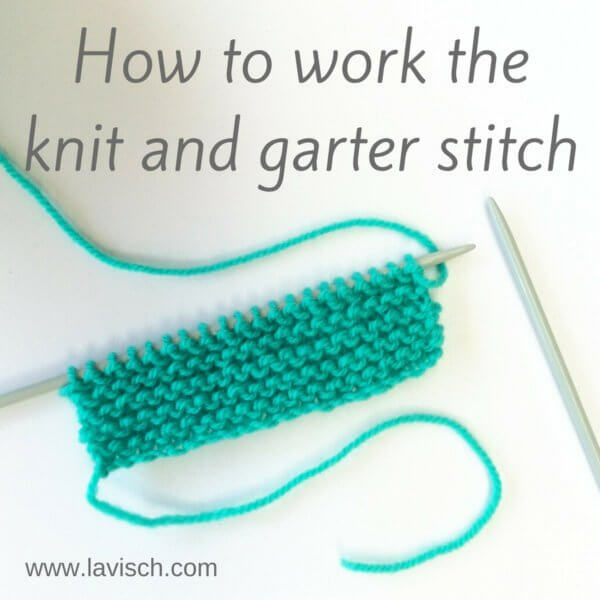 Try to keep the tension the same as in the knitted stitches underneath, otherwise, the fabric may pull. And that’s how you work duplicate stitch! 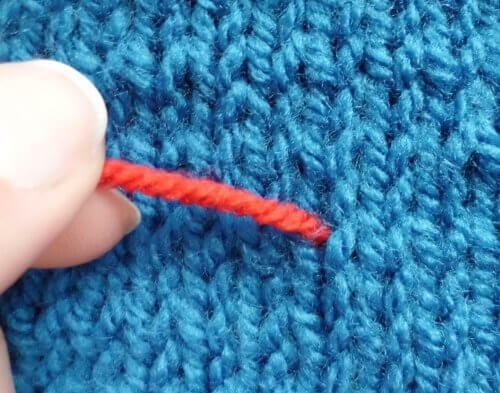 Did you know it’s also a great way of covering little mistakes in knitting when found after binding off? 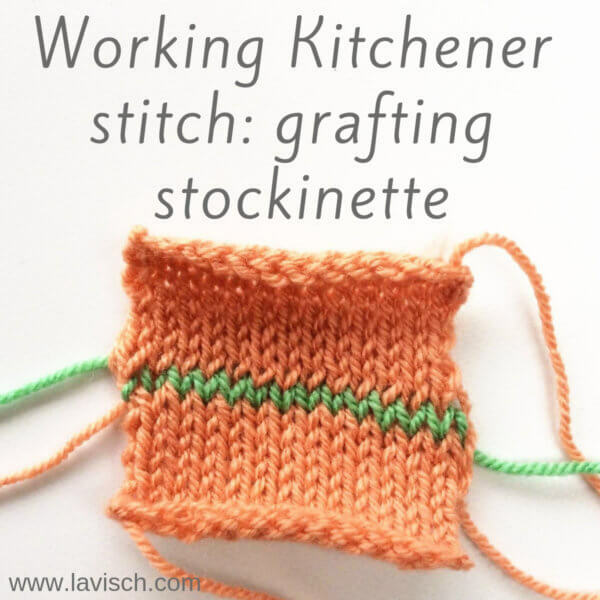 A good trick to have in your knitter’s toolkit!